PDF To JPG Converter — быстрый конвертор PDF в файлы изображений JPG, BMP, TIF, GIF, PNG. Пользователи могут задавать конвертирование в диапазоне страниц, устанавливать выходное разрешение изображения DPI (количество точек на дюйм). Программа поддерживает работу в пакетном режиме и по заявлению авторов на 87% работает быстрее, чем другие PDF преобразователи. PDF To JPG Converter is a windows utility that quickly converts PDF Files into JPG, BMP, TIF, GIF and PNG Images. With PDF To JPG Converter users can also convert PDF to JPG in page range, and set the output image DPI. The Portable Document Format or the PDF and JPG format are two of the popular formats used to store images and graphic. One file in one format can be converted into the other. There are many tools available on the internet, which are helpful in the conversion from PDF to JPG format. The great aspect about converting PDF files to JPG format is that the data stays intact. The information or images and graphics are not tampered with and neither are they distorted in any way. Once the files are converted users can even use the advanced computer tools to aid them with font embed, image compression and resolution to make it appear exactly as it was in the original form. Users can very well preserve the original layout of data like line spacing, paragraphs, text, tables and formatting. Sometimes users may want to use PDF content or snapshot for their website or share on the net. 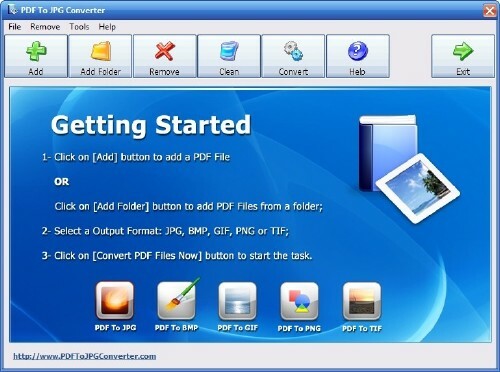 PDF To JPG Converter will allow users to convert each PDF page to a single image in batch mode. Users can set a lower DPI, and then they will get smaller image files which could be transferred and shared much easier.